Sign up for my newsletter for news of upcoming releases! Soul of the World listed as one of Barnes & Noble’s picks for SFF books to read in 2017! David Mealing grew up adoring all things fantasy. He studied philosophy, politics and economics at the University of Oxford, where he taught himself to write by building worlds and stories for pen & paper RPGs. He enjoys board games and card games of all sorts, once spent a summer in Paris learning and subsequently forgetting how to speak French, and gave serious thought to becoming a professional bass player before deciding epic fantasy novelist was the wiser choice. He lives in Washington state with his wife and three daughters, and aspires to one day own a ranch in the middle of nowhere. 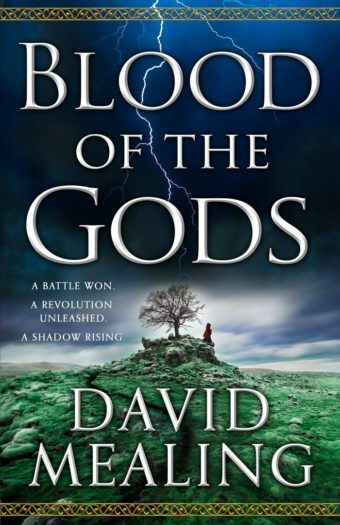 The battle is over, but war lies ahead in the second book of the epic fantasy trilogy that pits humans against gods in a contest for the fate of the world. Coming August 21, 2018 from Orbit Books!